Some people are just born to be wedding emcees. Ashton Kutcher is one of those people. He has the 80s stand-up cadence, he's impervious to shame, and he probably looks great in an iridescent vest. But how do I really know it's his true calling? On Tuesday, a video of Ashton Kutcher dancing to Indian pop music at a friend’s wedding surfaced, revealing his talent for hyping up a crowd of drunken reception-goers. Think about it. Doesn’t it just make perfect sense that the original star of Punk’d is meant to heckle the groom, just prior to the garter belt toss? Up until this point, Kutcher could get away with denying his destiny. Thus far, his acting career has exempted him from the banquet hall DJ circuit. People are too distracted by the fact that he's Kelso from That 70s Show to recognize that he’s great for a wedding. Or maybe, that's the very reason he's so perfect! But now, we can no longer be blind to Kutcher’s true calling. In the clip below, you’ll find video proof of his knack for getting a crowd going. First, he plays leading man in a Bollywood-style group routine, and then transitions into a partner dance. 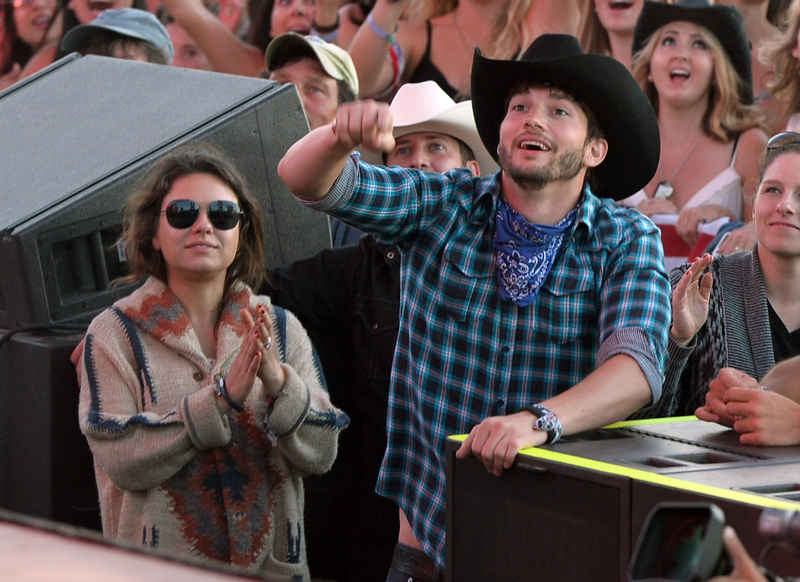 Mila Kunis was apparently watching from the sidelines, cheering him on. She was probably either super proud or totally mortified. All the while, he’s wearing traditional Indian wedding garb and hamming up the facial expressions. Where did he learn to dance like that, anyway? There you have it... a true prodigy, in his moment of reckoning! He's been possessed by the holy spirit of party time and nothing will ever be the same.